Fallis, A.m.. "Parasitology". The Canadian Encyclopedia, 04 March 2015, Historica Canada. https://www.thecanadianencyclopedia.ca/en/article/parasitology. Accessed 24 April 2019. Parasitology is a branch of biology dealing with organisms (animals or, rarely, plants) which live in or on other species (hosts) from which they derive nourishment. Parasitology is a branch of biology dealing with organisms (animals or, rarely, plants) which live in or on other species (hosts) from which they derive nourishment. These organisms are called parasites. This rather simplistic definition includes some viruses, bacteria and protozoa, various kinds of worms and certain insects, ticks, mites and copepod crustaceans. Some parasites cause disease in humans and in domestic and wild animals although most appear to have minimal effect on their hosts. 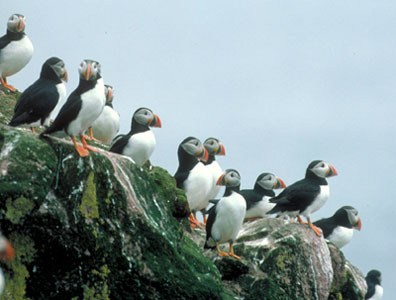 Several have complex and fascinating cycles of development in 2 or more hosts. Several types of parasites occur in humans, domestic animals and wild animals in Canada, but fortunately they cause less disease than some species in warmer countries. A higher prevalence noted recently results from increased travel to, and emigration from, tropical countries. Studies of viruses and bacteria are conducted in separate research departments or are combined under microbiology. Parasitology may be included in the last category or in departments of zoology and pathology. Canadian researchers have contributed to the knowledge of parasites that occur in Canada and elsewhere. For example, almost 100 years ago the Canadian William G. Maccallum studied a malarialike parasite in the blood of birds and found a stage of development that provided a clue leading to the understanding of how the malaria parasite develops in humans. Malaria is caused by a parasite in the blood that is transmitted by Anopheles mosquitoes, but only after undergoing change and development in them. J.L. Todd, the first professor of parasitology in Canada (at McGill), studied the trypanosomes (parasitic protozoans) that cause sleeping sickness in humans in Africa and demonstrated the transmission of relapsing fever by ticks. 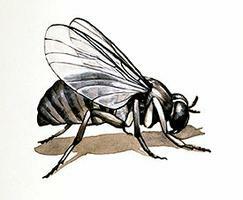 Early explorers related gruesome stories of attacks by mosquitoes and black flies. Bedbugs in logging camps and boarding houses caused misery. In the middle of the last century, thousands of immigrants died from typhus fever en route to or after landing in Canada. It was not then known that this dreaded disease is transmitted by lice. The significance of entomology to agriculture and to human and animal health was recognized in 1884 with the appointment of James Fletcher as the first Dominion Entomologist. In 1832 John Rolph established a medical school where he gave instruction on malaria, which was occurring in Upper Canada at that time. As early as the 1850s Canadians were writing papers on parasites they had observed. The private veterinary college begun by Andrew Smith in 1862 (later the Ontario Veterinary College) had lectures on parasitology. Ramsay Wright at the University of Toronto and William Osler at McGill were studying parasites in the 1880s. Their work, influence and encouragement inspired expansion of research on the subject in this century. Investigations increased in the early part of the 20th century. Among the prominent investigators were E.A. Watson and Seymour Hadwen. Both were with the Health of Animals Branch of the federal government and worked on dourine, a disease of horses caused by a trypanosome, a small single-cell organism in the blood, that causes sterility. Thanks to the work of Watson and his colleagues, the disease was eradicated from Canada. Hadwen also established the life cycle of the warble fly of cattle. This insect has 2 adverse effects. First, the flies lay their eggs on the hairs of cattle, causing them to stampede. Second, on emerging from the eggs, the larvae bore below the skin on the backs of the animals and after weeks emerge and transform into flies. The result is a lower value for the hides. Subsequent research by others demonstrated the value of chemicals for control of the pest. More recently, scientists with the Agricultural Research Station in Lethbridge, Alta, have shown that control and even eradication can be achieved by releasing, at the appropriate time, sterile male flies into the environment. Parasitology expanded in 1932 with the formation of the Institute of Parasitology at Macdonald College with T.W.M. Cameron as the first director, and the creation of a Department of Veterinary Science at the Ontario Research Foundation with Hadwen as director. At the same time, Edmund M. Walker in zoology and D.T. Fraser in preventive medicine at the University of Toronto were encouraging research and teaching. The Ontario Veterinary College, with its longtime interest in the subject, created a department of parasitology with Anthony Kingscote as head. More attention was directed to the parasites in wild animals following the establishment of the Ontario Experimental Fur Farm. Research expanded during subsequent decades with significant results in several centres across the country as parasitologists joined the staff of universities and provincial and federal insitutions. Several universities now provide undergraduate instruction and some have graduate programs leading to both master's and doctoral degrees. For those engaged in it, research is a challenging, occasionally frustrating, and continually exciting occupation. Frequently it takes years of patient endeavour to make a single significant discovery. The satisfaction of discovery is itself rewarding, especially when the knowledge, along with that produced by others, can be applied to benefit humans and the welfare of other animals. Hadwen's contribution to an understanding of the life cycle of the warble fly of cattle was fundamental to subsequent work. This led to the control and, in places, eradication of the pest. Watson's achievement in eradicating dourine in horses was likewise of immense practical value at a time when horses were essential to agriculture. Several investigators have worked on ticks and flies that affect livestock and have introduced measures to control these pests more effectively. Tick paralysis in sheep and humans in western Canada is now understood, thanks to years of research. 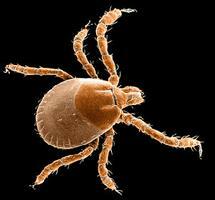 However, several kinds of ticks are still prevalent in places. More recently, attention has been directed to those that transmit Lyme disease. Commercial fisheries in western Canada were, at one time, adversely affected by tapeworm (Triaenophorus crassus). It was shown that an intermediate stage of the worm in the whitefish developed into a mature worm when an infected fish was eaten by pike. Practical research followed to eliminate the pike and thus prevent transmission. Research by Leo Margolis at the Fisheries Research Laboratory in Nanaimo, BC, illustrates a different practical application of the study of parasites. His survey showed that parasites present in marine fish from different localities differ and are therefore useful biological tags indicating the origin of the fish. For decades scientists and laymen were baffled by paralysis observed in moose in certain areas of the country. The cause was elusive until Douglas Davies observed a species of lungworm on the membranes of the brain of white-tailed deer. Elucidation of the life cycle by R.C. Anderson and the observation that moose disease occurs only in localities where moose and deer are present led to his discovery that the worm causes disease in moose but not in deer. The worms' eggs are passed in the feces of deer; their larvae penetrate into various snails and undergo further development. Moose or deer become infected when they eat vegetation to which infected snails are attached. Basic research on parasites necessitates describing and naming species, determining their life cycles, and identifying relationships with other organisms. As knowledge increases and more sophisticated techniques become available, inquisitive minds are probing more deeply into questions of genetics, molecular biology and the chemical basis of life. Biologists in other specialties are using parasites also to try to understand how some live in equilibrium with their hosts and others cause disease. G.D. Schmidt and L.S. Roberts, Foundations of Parasitology (1985); R.S. Desowitz, New Guinea Tapeworms and Jewish Grandmothers (1987).